The foundation for a society that is economically, socially, and environmentally sustainable. Isthmus Engineering & Manufacturing, a worker-owned company located in Madison, WI. We are thinkers and practitioners from the United States and Australia. Our views principally reflect where we come from, but we are confident that our themes are an important part of a global discussion. We are arguing here for the singular importance of advanced manufacturing. Our emphasis on advanced manufacturing is not because we love advanced manufacturing, but because we think it is necessary to achieve a next system that is democratic, equitable, sustainable, and restorative. If we thought free beer would be as important or as necessary, we would be advocating for free beer instead of for advanced manufacturing. Advanced manufacturing is very different from the popular image of industrial production. 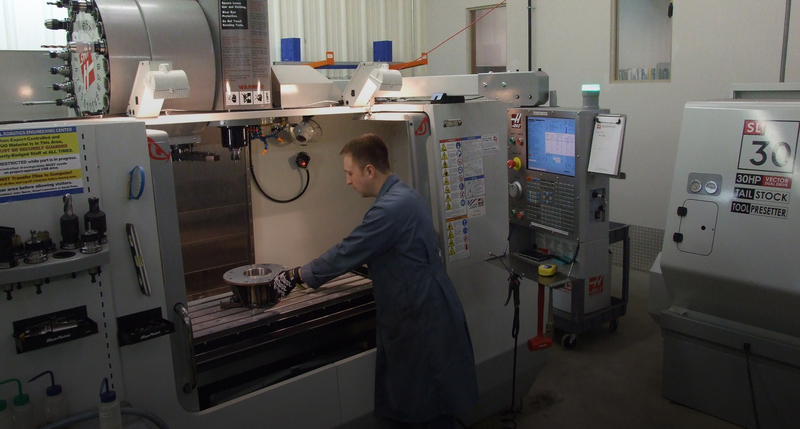 Advanced manufacturing is very different from the popular image of industrial production. 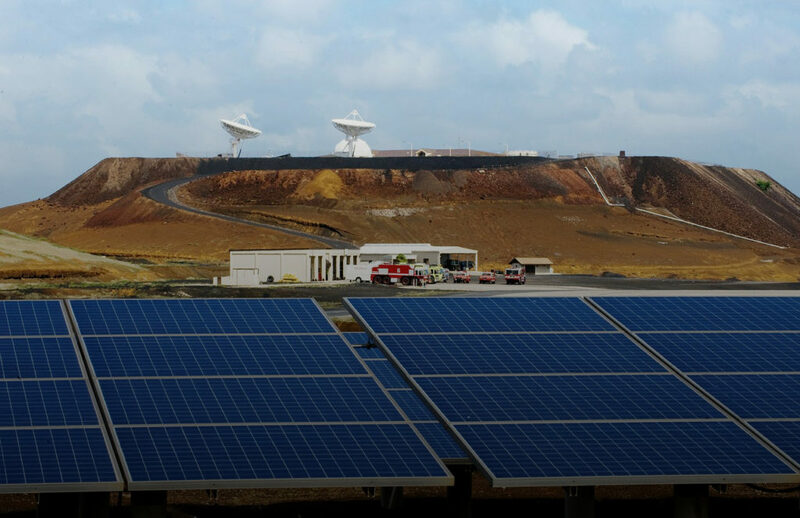 Most modern plants are clean, generate few emissions, and are critical to industries as varied as food processing, sustainable technology in solar and wind energy, and transportation. Advanced manufacturing requires high skills and continuing education and pays better wages than low-skill work. And we oppose the current of thought that sees the state as the only vehicle for progressive change. We believe, on the contrary, that the movement for the next system must institutionalize its values and achieve its objectives within the market, the state, and civil society. First among those values and objectives, support for social inclusion must be the basis of decisions about building the next system. The world’s poor and marginalized people must be able to achieve their self-interested objectives. To that end, we must make available to everyone the ability to take advantage of local and global opportunities, to participate in community and society, and to contribute to social and cultural life. We recognize that the capitalist economy and its primary institutions have been and continue to be based on the exploitation of workers from whom have been stripped ownership and control of their work activity and their product. Moreover, our current global economy has been constructed around race, gender, and empire in ways that have systematically disadvantaged people of color, women, and nations outside the core. Signs of this living legacy are everywhere, and they must be addressed with conscious intention if we hope to reach a next system that is constructed differently—one that is democratic, equitable, sustainable, and restorative. Our current global economy has been constructed around race, gender, and empire in ways that have systematically disadvantaged people of color, women, and nations outside the core. We use the concepts of High Road and Low Road in this paper. The Low Road reflects a commitment to self-interest with no concern for the impact decisions by those with power might have on other stakeholders. There are abundant historical and current examples of Low Road enterprises that are dangerous to work in, pollute the environment, pay poorly, and benefit owners and investors in gross disproportion to other contributors and stakeholders. A High Road perspective recognizes the centrality of all stakeholder concerns in achieving their self-interested objectives, considers the impact of decisions on all stakeholders, and moves in the direction of environmental sustainability, equity, quality of working life, workplace democracy, and social inclusion. Currently, we can find a mix of High Road and Low Road practices within existing institutions, organizations, and companies. As we work to promote and build the next system, it will be both necessary and constructive to work collaboratively with enterprises across a spectrum of High Road commitments and practices. We also recognize the necessity of monitoring the intentions and emerging practices of next system enterprises and policies to ascertain their commitments regarding High Road or Low Road operations. While attention to High Road and Low Road practices usually focuses on business enterprises, we believe that to ensure justice, High Road principles and practices must become the norm throughout the market, state and civil society. 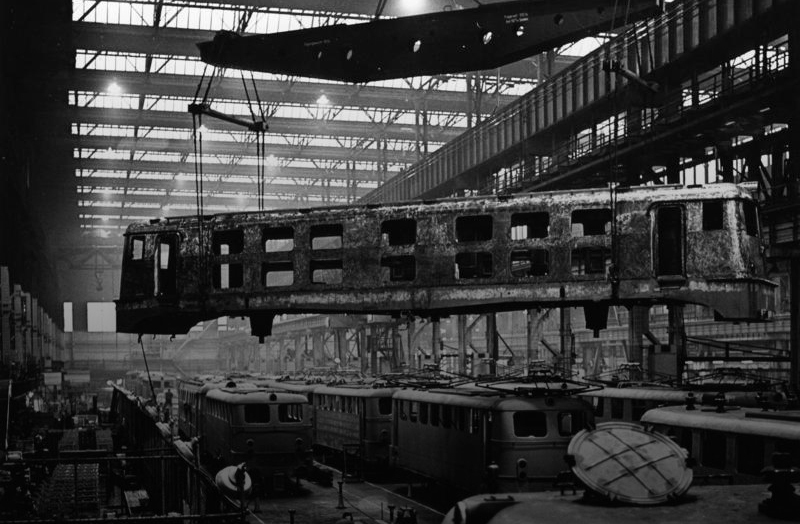 Electric locomotive construction at the Krupp Works, Essen, 1960. The first industrial revolution in the global North was driven by the emerging private sector seeking private and personal wealth. These motivations and associated practices gave us modern society as we know it. Manufacturing revolutionized the productive capacity of the world. It provided the setting for enormous breakthroughs in technology and production systems. Employment in manufacturing and related enterprises raised millions of people out of grinding poverty. Although credited with creating a middle class, manufacturing also has an ugly history of externalizing environmental costs onto neighboring communities and requiring many workers to engage in dangerous and dirty work. Manufacturing has a mixed legacy. Although credited with creating a middle class, manufacturing also has an ugly history of externalizing environmental costs onto neighboring communities and requiring many workers to engage in dangerous and dirty work. Meanwhile, pervasive racism in the conduct of manufacturing shifted the heaviest environmental costs and assigned the dirtiest and most dangerous jobs disproportionately to people of color. When hundreds of thousands of people in the United States lost their jobs in the wave of plant closings in the 1970s and 1980s, the positive effects of manufacturing such as jobs and living wages evaporated or relocated, leaving behind empty factory shells, industrial toxic contamination, and massive urban blight. Even today, the mainstream economic and political paradigm asserts that we must choose between jobs or environmental regulation, industrial development or clean air and water. We posit ideas in this paper that negate these false dichotomies. Manufacturing is as complex as are our society and culture. Manufacturing can and must reflect the values and priorities of the society and culture we envision, as it can be a strategically powerful tool to help facilitate building the next system. An emphasis on advanced manufacturing is not counter to building a modern state and civil society that care for and protect people and democracy—it is an integral part of that effort. Advanced manufacturing is a necessary driver of the transformation to the next system and its development. An emphasis on advanced manufacturing is not counter to building a modern state and civil society that care for and protect people and democracy—it is an integral part of that effort. Indeed advanced manufacturing and the creation of the next system are interdependent. To achieve a next system that is economically, socially, and environmentally sustainable and restorative, we need democratic, equitable, sustainable, and restorative policies, processes, and activities that generate incomes and produce the products necessary for sustainable and restorative societies. In order for advanced manufacturing to build the next system and not just accumulate more wealth for finance capital, we will need to replace capitalist conceptions of growth and development and to change dominant consumption patterns. We will need education and policy that ensure appropriate use of technology for High Road purposes. 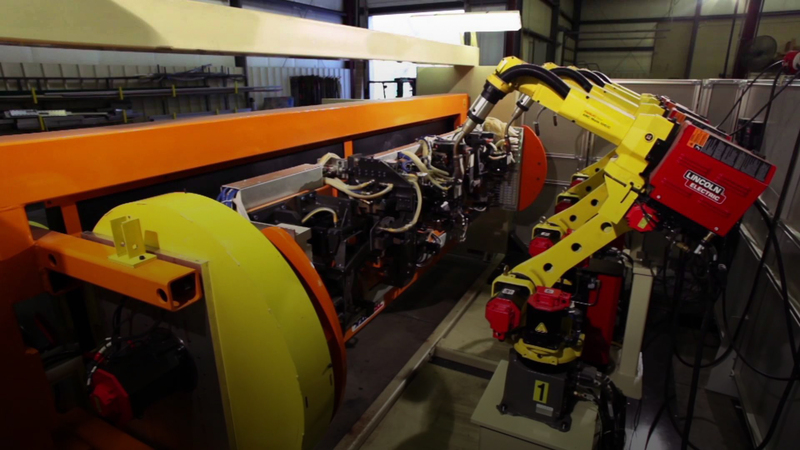 Four FANUC Arc welding robots weld a trailer hitch. With the right policies, investments, and direction, manufacturing can also be the epicenter for innovation, creating the new processes and products that an equitable and sustainable society requires. Finance capital has clearly displayed its destructive character with regard to our productive capacity, middle class stability, and ecosystems. We must rebuild and reorient our productive capacity as part of the transition to the next system. With the right policies, investments, and direction, manufacturing can also be the epicenter for innovation, creating the new processes and products that an equitable and sustainable society requires. At least three aspects of advanced manufacturing are critical for the next system: 1) its relationship to our vision of an equitable, sustainable, and restorative society, 2) the fight for regulatory policy and investments supporting the High Road in advanced manufacturing (and against Low Road policies of neoliberalism and finance capital), and 3) the tactical opportunities for building alliances and momentum that a focus on manufacturing creates. Manufacturing must be the foundation of a modern society that is economically, socially, and environmentally sustainable and restorative. We have an expanding global population requiring production of goods that are essential for a comfortable and secure life. These material resources can be efficiently produced only by a modern manufacturing sector in all countries. We face huge challenges to human health and planetary ecology that can be resolved only with a manufacturing sector that creates products with processes that are consistent with the development of equitable, sustainable, and restorative societies. The movement to the next system must champion this focus on advanced manufacturing as a crucial complement to our championing of a state that ensures democracy, as well as economic and social security, for its people. Two international models for economic and social democracy which are anchored in strong regional manufacturing-based economies —the Emilia Romagna region of Italy and the Mondragon federation of worker cooperatives in the Basque region of Spain—are instructive for us. There is much evidence that enterprises, including manufacturing, are more likely to do well by almost every measure when the actual work of the enterprises is designed and run by as many employees as is possible. Workplace democracy is a value that should be embraced by the next system. Workplace democracy is best assured with worker ownership. In addition, forms of democratic control that remove short term profits as a factor in the design and operation of organizations and systems will drive socially and environmentally equitable and sustainable production of goods and services in all economic sectors. The fight for regulatory policy and investments supporting advanced manufacturing and against neoliberalism and Low Road/exploitative finance capital is imperative. Finance capital continues to succeed in reinforcing its power to dictate the terms around disinvestment and capital mobility, and its freedom to prioritize monetized returns. This success has had enormous social costs that continue to increase. This is the systemic challenge. At one time a revolutionary owning class used its wealth and power in ways that shored up its own position, but did provide substantial if unevenly divided benefits to society as a whole. Now the most powerful part of the owning class—a section of finance capital—is cannibalizing our common wealth and assets, beginning with the destruction of our productive capacity with terrible impact on millions of people and on the health of the earth. This is the time for a “change in social relations of production” when a new revolutionary movement stops destruction of productive capacity and leads in its redevelopment for a society guided by different values. These values are the foundation of a society that is environmentally, economically, and socially responsible, sustainable, and restorative. New investment strategies and regulatory policy are necessary to drive a new Industrial Revolution, one in which advanced manufacturing plays a central role in strengthening our communities and building a broad-based middle class, and serves as the epicenter for innovation, creating new products and processes for the transition to and maintenance of an ethical and responsible modern society. This is the time for a “change in social relations of production” when a new revolutionary movement stops destruction of productive capacity and leads in its redevelopment for a society guided by different values. Re-discovering, re-imagining, re-orienting, and re-building the manufacturing sector requires combined and effective efforts in both policy and the market. We need worker-owned firms of various kinds, and also entrepreneurs, managers, and investors developing cooperatives and democratic social enterprises (as well as privately held companies) that perfect new processes and products anchored in reusing and recycling what we have already taken from the earth. Small, successful companies can be restructured and developed in accordance with High Road principles, for instance as worker owned or cooperative firms, to maintain and expand high-skill jobs. The state must use the power of regulation and reward to insist on and encourage the right investments, practices, and processes. This requires powerful efforts at both federal and state levels in funding research and development, providing high quality public education, establishing tax policy that encourages investment and provides a full social wage, and creating incentives and penalties that promote the required big transitions for companies and in sectors. Systemic change that includes re-orienting and rebuilding our manufacturing sector requires a mass base and many strategic and tactical allies and networks. Critical for systemic change is engaging finance capital at its points of vulnerability and exposing its destructive character. We must demonstrate a workable and compelling alternative to the destruction of our productive capacity and health. We also must demonstrate that we are able to create modern manufacturing in new forms, with new products and new processes informed by new values. Winning over significant sections of the business community is essential (but insufficient) for building a transformative movement and society. We need partners and allies committed to the success and dominance of modern manufacturing informed by new values. In the culture and performance of civil society we need debate as well as dialogue to engage the vast majority of people to understand and support these changes in policy and practice, even when they are unwelcome or painful, because they are better options than those that the current system promises but routinely fails to deliver. Critical for systemic change is engaging finance capital at its points of vulnerability and exposing its destructive character. Our approach, while engaging the state, cannot rely solely on the state or the perception or development of social democracy. We can segment capital, identifying and going after the Low Road, as we win over owners, managers, engineers, and investors who value innovation and production and are willing to be fair. We will find allies among capitalists who already share or will be won over to the vision and values of the next system and others who see tactical benefit in their alliance with our movement. This reality will surprise skeptics who see only state solutions, and may be difficult for many of our allies on the left who see any engagement in the market as corrupting and who regard corporations in general as necessarily and always the enemy. Broadening our base of allies is essential if we are to be successful in the electoral and political realm and win the state’s commitment to full employment and other necessary economic, social, and environmental policies. A battle seen only as labor vs. management or as anti-business across-the-board will not succeed, but one framed as good business vs. bad business, High Road vs. Low Road, and/or sustainable vs. unsustainable, can be successful in building broad-based coalitions. The same opportunities can be pursued by labor through the effective use of capital strategies. One component of this approach is explicitly focused on creating a mutual bond between the manufacturing sector and community residents. One component of this approach is explicitly focused on creating a mutual bond between the manufacturing sector and community residents. Projects like those in Emilia Romagna and Mondragon have built up material experience implementing and maintaining the institutional cross-sector alliances necessary to succeed with this piece of the larger vision.4 This interdependent relationship can and must be designed to increase social inclusion, reduce income and wealth inequality, and promote self-determination as well as the economic, social, and political development needed to overcome poverty and conflict after decades of deindustrialization and disinvestment in both inner cities and rural areas in North America (and elsewhere). We must make available to everyone the ability to take advantage of local and global opportunities, to participate in community and society, and to contribute to social and cultural life. The role of economic growth in the next system is both complex and contested. Transformation to the next system must confront the reigning definition of growth and the inevitable destruction which unqualified capitalist growth demands. This has implications for regulatory policy, for investment, for everyday life in our communities, and for our current infrastructure. Many “progressives” are at best ambivalent about growth, correctly believing that as long as economic growth and development are driven by the imperative of private profit, it inevitably leads to environmental crisis, devastation of countries and regions by war, deepening poverty in sections of the world, and a culture of consumerism based on the acquisition and use of products that are often destructive to the human condition and to our environments. There is enormous global social need for increased development of our industrial and technological capacity. There is enormous global social need for increased development of our industrial and technological capacity. In contrast to the prevailing mindless commitment to unqualified growth, we need to use our productive capacity to create the products that are needed for a better world. We need certain kinds of growth for specific purposes, and we need growth to elevate health, renewable energy, quality of life and sustainable communities, employment opportunities, and increased human and ecosystem well-being. We offer a vision of transformative development that re-directs our productive capacity to reduce environmental devastation and human suffering through dramatically and quickly expanding renewable energy sources and the global infrastructure for housing, public health, education, communications, sustainable transportation, food production, and the production of goods people need for self-determination and creative lives. The next system must be built and maintained within the constraints of ecological sustainability. As Herman E. Daly argued years ago, and is even more evident today, the macro-economy is a subsystem of a larger and finite and non-growing ecosystem. Thus, sustainable development requires that “the economic subsystem must not grow beyond the scale at which it can be permanently sustained or supported by the containing ecosystem.”5 The capitalist growth model, as currently practiced, cannot operate within this constraint. The potential public benefits from increased rail capacity are considerable. Electric trains are more powerful and cheaper to maintain than diesel and could be powered by wind-generated power (thus no longer requiring burning fossil fuel for the electricity). Public financing of rail infrastructure upgrades could give governments the leverage to require passenger service on rails carrying freight. Highways could become safer to use and less costly to maintain. Perishable goods could move long distances without the huge cost and carbon footprint of trucks and planes. Moreover, when productive capacity is directed to the processes and products needed for equitable, sustainable, and democratic communities, we are likely to need less—or at least different—long-haul capacity. A next system approach to transportation calls for public investment decisions made without the requirements of Wall Street. Such an approach would require advanced manufacturing capacity and the use of sophisticated technology, and would create many well-paying construction and manufacturing jobs. This is but one of many examples of economic development/growth initiatives that are needed for a sustainable future. As Longman reminds us, “The choice of infrastructure projects is de facto industrial policy; it’s also de facto energy, land use, housing, and environmental policy, with implications for nearly every aspect of American life going far into the future.”7 Planning for growth and development in the next system means planning and policy for employment, energy, land use, housing, education, agriculture, family, environment, immigration, social cohesion, recreation, and more. Our economy currently depends on our acquisition (consumption) of manufactured products. Current assumptions about economic growth increasingly depend more on what people buy than on what they make or do, as people have come to be identified by capitalists and most economists as consumers, not workers. There is the kind of consumption that is encouraged under capitalism and a different kind of consumption that would be encouraged in the next system. Gaining broader control of the means of production by those committed to the next system can allow us to alter both what is produced and how it is produced. By changing the patterns and habits by which goods are produced, promoted through advertising, sold, exchanged, and distributed, we can use the power of the market, the state, and culture in civil society to change the consciousness of individuals about consumption and its role in making and defining our society and our lives. When creating individual wealth is the key criterion for what is produced, as is the case under capitalism, we are surrounded by products that are unhealthy physically, emotionally, intellectually, and environmentally. The products and processes that produce them further degrade the ecosystems of the planet. Goods are designed to fail and/or fall apart so more can be made and sold. We have nuclear weapons and toxic ‘cleaning’ supplies. Beginning with the movement that is creating the next system and an equitable, democratic, and sustainable society, we can encourage acquisition/consumption that is consistent with the common good and general goals of economic, social, and environmental sustainability and restoration. This is a whole system approach to shared responsibility, not (only) an issue of morality or individual behavior, as is suggested in “anti-consumer” or “anti-growth” literature. Our regulatory system has to be fully engaged to punish producers and consumers of goods that are acting in ways that are contrary to the health of society. We can change behavior of companies, investors, and consumers through incentives, regulations, and penalties. For example, today, Patagonia (among other firms) will repair its products for customers to reduce the overall volume of goods instead of only selling new goods. There is a market incentive for this seemingly counterintuitive position, because it may increase Patagonia’s profits as there is increasing consumer loyalty to brands that are thought to advance sustainable practices. We cannot look at consumption only from the perspective of societies like the US, Europe, and Australia that have high levels of wealth in comparison to the rest of the world. The discussion of consumption, like the discussion of growth and development, must always be advanced in the context of a global perspective. What is possible or desirable or needed in a very poor region or country can be quite different from what is possible or needed in a wealthy country or region. This has a great deal to do with extreme variances in living standards, access to energy, local and regional culture, and systems of distribution. We cannot look at consumption only from the perspective of societies like the US, Europe, and Australia that have high levels of wealth in comparison to the rest of the world. As with the question of growth, we need a powerful state apparatus to bring about the changes in consumption that we recognize are necessary. Creating the coalitions that will achieve this kind of transformation requires acknowledging that manufacturing has both a positive and negative aspect, as do growth and consumption. A technician at a modern machine shop workstation at the National Robotics Engineering Center. In the next system, these continuous advances in technology can and will be used to improve the living and working conditions and security of all people and to address the crises in the environment. People can and do control and guide the use of technology; our challenge is to guide that use for the common good rather than for the interests of finance capital. People can and do control and guide the use of technology; our challenge is to guide that use for the common good rather than for the interests of finance capital. As with development and acquisition of consumer and consumable goods and consumer behavior, direction and control of the application and impact of technology occurs in the market place, through the power of the state, within households and with the influence of civil society. We can advance our commitment to constant innovation in technology and demand that it is explicitly and strategically linked to investment in social inclusion, equity, sustainability and community development. For example, Mondragon was the first region in Spain to embrace robotics, with the resulting impact on local communities of expanded employment through greater market share. The power of new technologies in transforming global society is enormous and it is not inevitable that the outcomes will be what we would choose. Any technology can be designed and applied various ways. It can deliberately deskill work, placing more power in management, as has been the case with Taylorist systems in mass manufacturing, or it can be designed to enhance skills and innovation by workers. It can lengthen or shorten the work day or year. Unless we cease the exploitative and damaging use of new technologies by capital and instead direct their focus to development that is sustainable and restorative, the vision we offer will not be realized. We need to describe the kinds of workplaces, communities, social relations, and societies we want, and then direct how investment in technologies and associated advanced manufacturing will move us in that direction. The transition to the next system cannot occur without a vision of the world we want and need. A vision is not a plan, however, so we need to develop tactics and strategies with which to move forward. 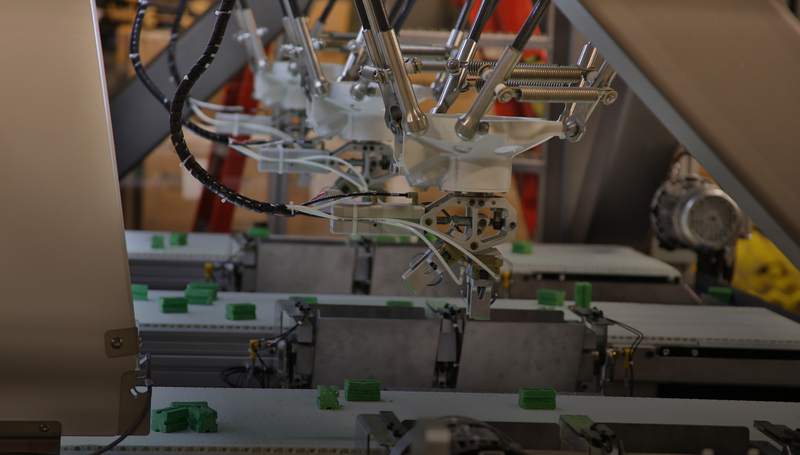 We believe advanced manufacturing is an essential component for creating a just and sustainable world and we consider changes in current patterns of growth, consumption, and technology as necessary parts of the transition. We will need other crucial components as well. We encourage people who read this to think about and share ideas especially about changes in education, investment, trade, and public policy that can advance this work. For any of this to occur, we also need to develop the political will to achieve these seemingly impossible objectives. We welcome your comments on and responses to this essay, which can be emailed to us at: whatistobedone2016@gmail.com. 1. ↑ The authors wrote this paper as a contribution to The Next System Project to propose a concrete application of next system values and principles. We are grateful to colleagues whose thinking and experience helped shape the ideas expressed. 2. ↑ Elizabeth Scott and Howard Wial, “Multiplying Jobs: How Manufacturing Contributes to Employment Growth in Chicago and the Nation.” Center for Urban and Economic Development, May 2013. 4, 5. ↑ Nichola Lowe, Julie Stern, John Bryson and Rachel Mulhall. “Working in a New Generation: Youth Job Creation and Employer Engagement in Urban Manufacturing.” Association of Collegiate Schools of Planning Annual Conference, Houston, TX. October 2015. http://nicholalowe.web.unc.edu/files/2015/06/Lowe-et-al-APA-Paper-2016.pdf Accessed July 20, 2016. Marianne Ekman et al, Learning Regional Innovation: Scandinavian Models (Palgrave McMillan, 2011). 7. ↑ Longman, “Back On Tracks,” Washington Monthly, Jan/Feb 2009. 8. ↑ Pan Pilas, “Davos elite urged to pay heed to global inequality.” Chicago Tribune January 19, 2015, Section 2 page 1. The Facts about Modern Manufacturing, 8th Edition. The Manufacturing Institute, 2009. Morrison, Tom, Emily S. DeRocco, et al. 2011. Boiling Point? The Skills Gap in U.S. Manufacturing. Deloitte Development LLC. National Association of Manufacturers. “Facts About Manufacturing,” November 2012. Max Ogden is a retired trade union official from Australia. Nina Gregg consults with social justice and advocacy organizations and education institutions on strategy, governance and inclusion. She serves on the Board of Three Rivers Market Cooperative (Knoxville, TN) and is active in Blount County SURJ and the international Alliance for Responsible and Sustainable Societies. Doug Gamble is retired from the Union of Needletrades, Industrial, and Textile Employees and a member of the Board of Directors of Manufacturing Renaissance, Chicago. Andrew Dettmer is National President of the Australian Manufacturing Workers Union. David Schweickart is Professor of Philosophy at Loyola University Chicago. He holds Ph.Ds in mathematics and philosophy. He is the author of three books and coauthor of one, his latest being After Capitalism (2002; Chinese translation 2005; Slovak translation, 2010, 2nd Edition, 2011, Chinese translation 2015). He is also the author of numerous articles in social-political philosophy. His primary focus has been on developing and defending, as both economically viable and ethically desirable, a socialist alternative to capitalism, which he calls Economic Democracy. His work has been translated into Chinese, Spanish, French, Norwegian, Slovak, Farsi, and Catalan. Advanced manufacturing is indeed an indispensable part of a sustainable and just future. It needs to be complemented by unbounded organization. Those people and organizations that are highly productive should be regarded as generators of social surplus. The social surplus should be recycled to create meaningful and dignified lives for those wh are redundant in the labour force. They can for example devote themselves to music, to art, to science, to reforestation, to personal care of the ill and aged (as Marting Luther King and now Jean Louis Laville advocae). 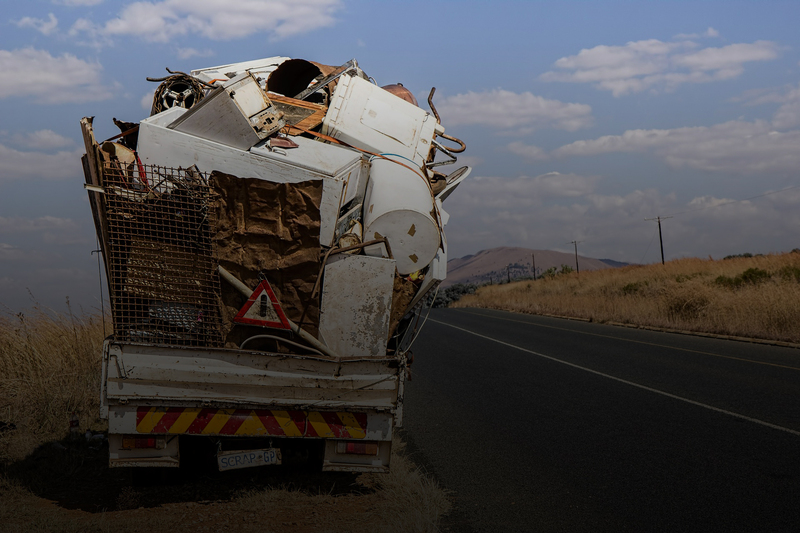 There are many ways to do community service that will not earn a wage in the labour market, but can be financed by recycling the social surplus. The moral imperative: share the surplus. This is already being done in the community work programme in South Africa. See Malose Langa’s ethnographic study of the CWP in Orange Farm near Johannesburg. I believe it can be found on Internet or through the Centre for the Study of Violence and Reconciliation at Wits University. Gandhi had the solution to the problem of unemployment: live consists of opportunities for service. People who cannot find employers to pay them for serving should serve anyway. The rest of us following our dharma should make sure their needs are met. Gandhi’s principles become easier to apply with advanced manufacturing. The Impossibility of Politics –easily found googling my name and this title. This paper does not refer to advanced manufacturing by name but it discusses the idea.